My first week of blogging is almost over! Wow! Here is something I came across that I had to post about. 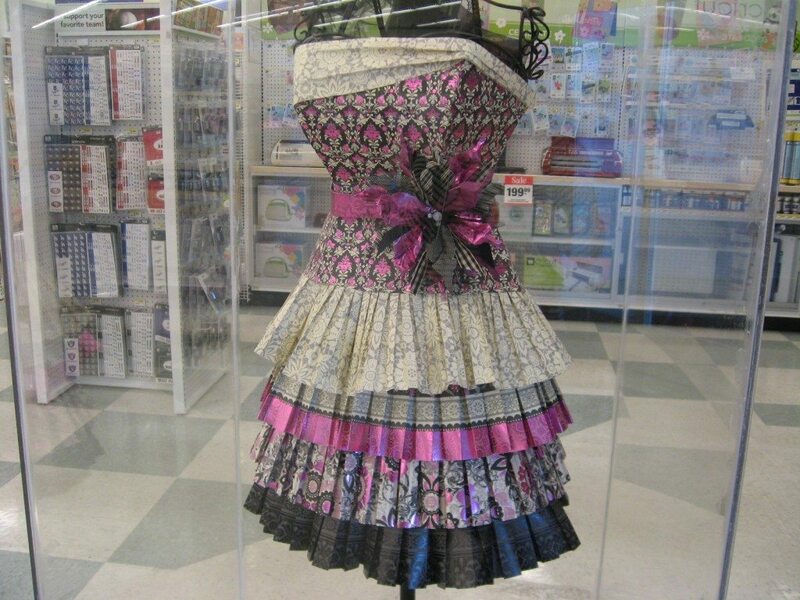 This Scrapbook Paper Dress was displayed at the entrance of Joann Fabrics & Crafts yesterday. 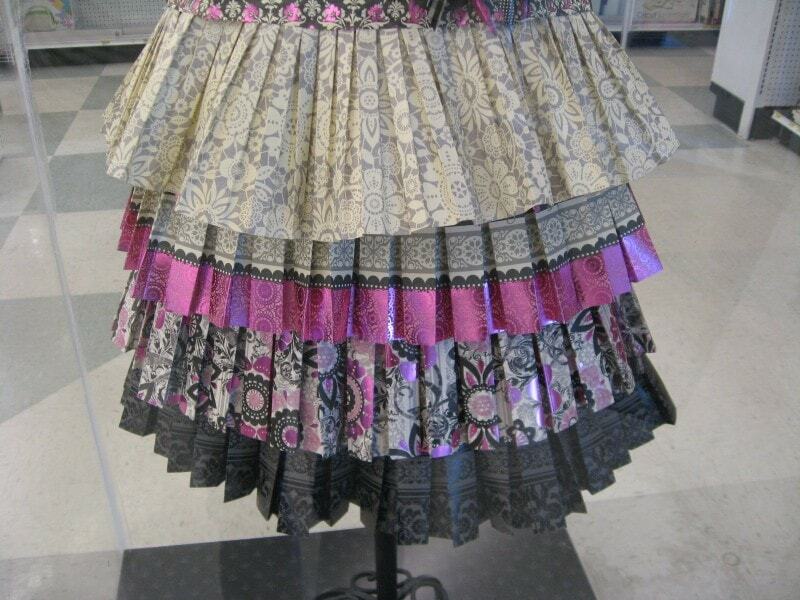 It is made entirely out of scrapbook paper! 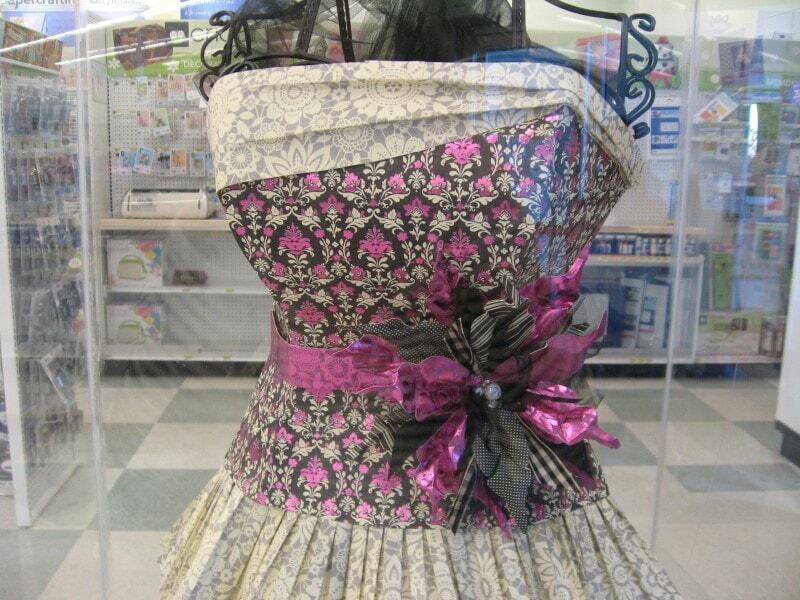 From afar it looks like a real dress. The detail is amazing. I love it! 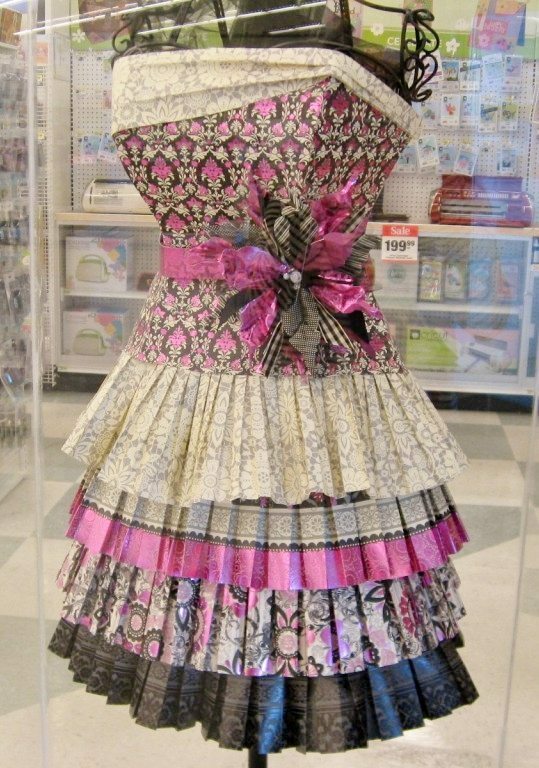 Now, if this dress were real, would I wear it? Hells no! However, what an amazing and creative way to use a craft item as simple as scrapbook paper into something completely unexpected. Although it’s not my style, it makes me want to buy some paper and see what I can come up with. I guess it served it’s purpose now, didn’t it? I just wanted to share something that inspired me, which is the reason that I started this blog… to share my inspirations. Hopefully it struck a cord with at least one of you like it did me! So, get out there and create!